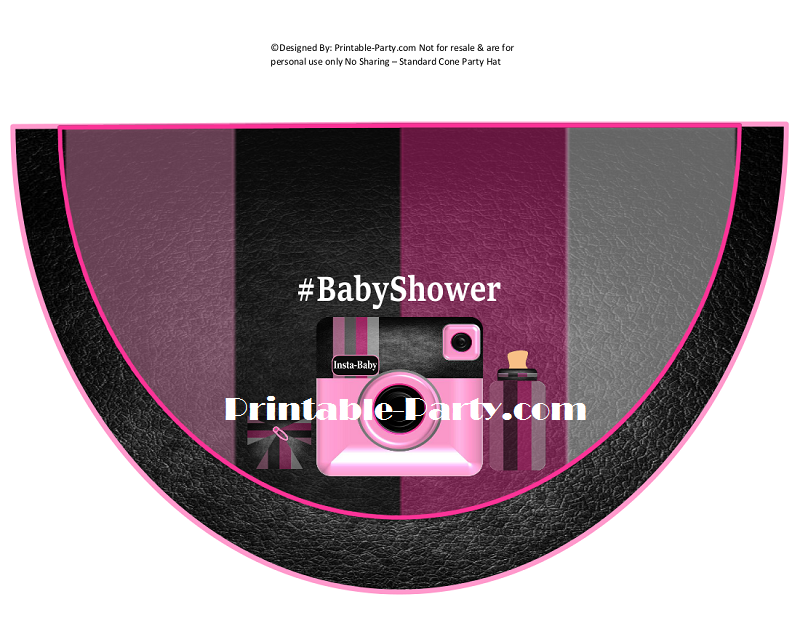 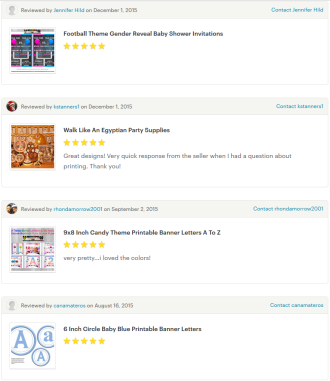 Insta-Baby camera themed baby shower supply are fantastic & stylish. 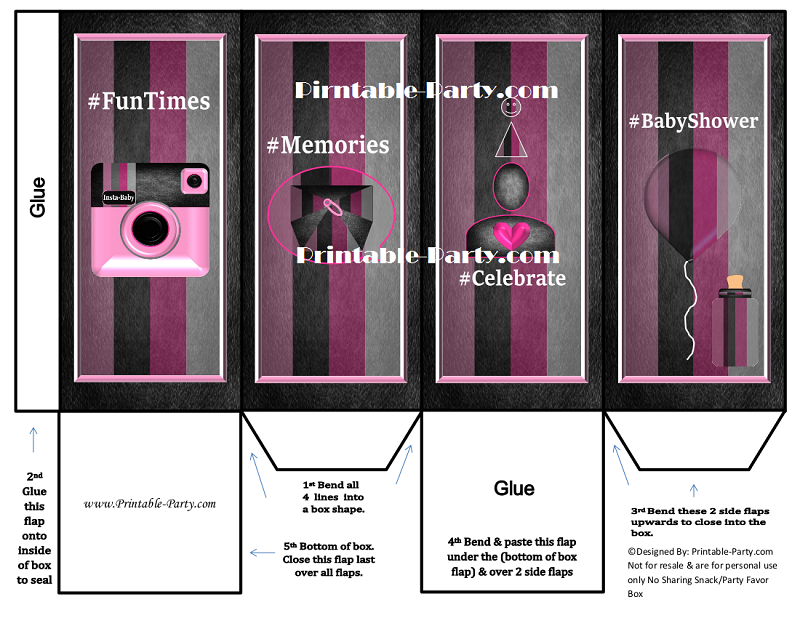 Create a fun filled celebration with social media inspired party decoration seen exclusively right here. 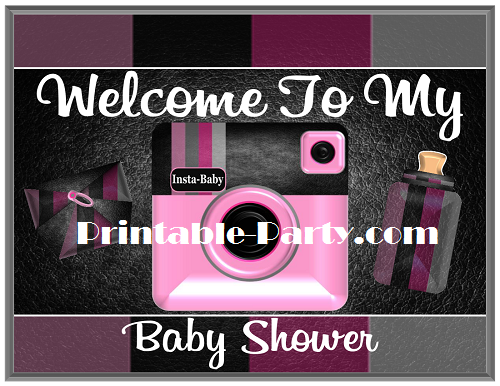 If you like taking photos & posting your thoughts on social networks, then you will love this creative camera Insta-Baby themed digital decoration kit. 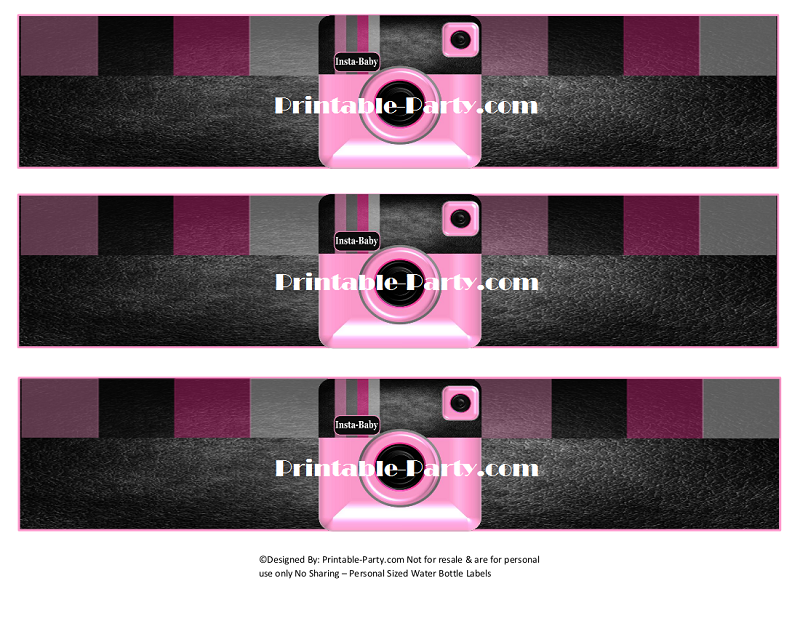 This theme is offered in 3 eye popping colors. 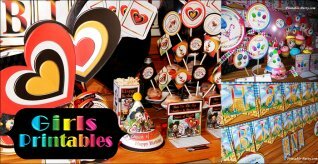 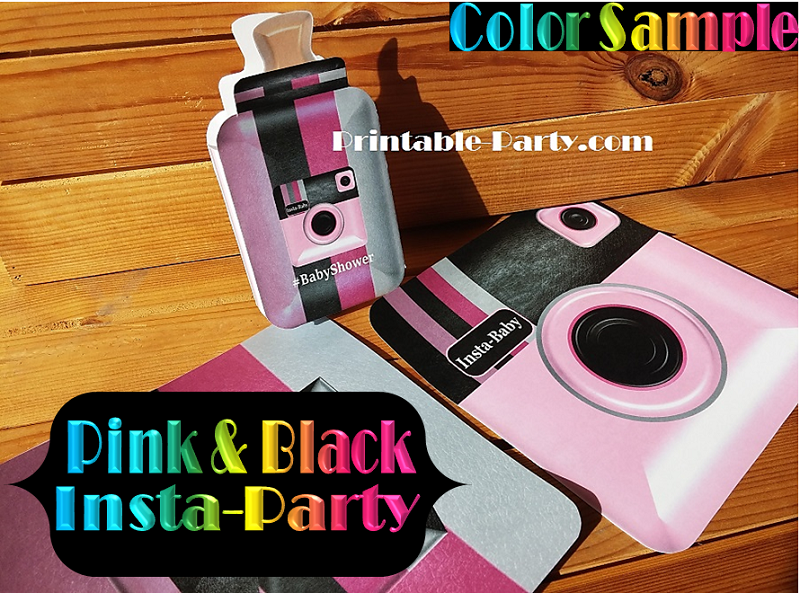 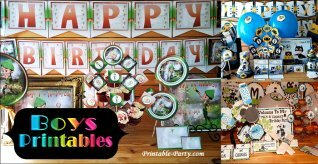 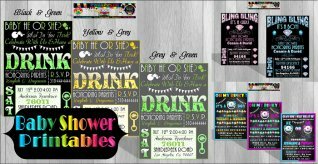 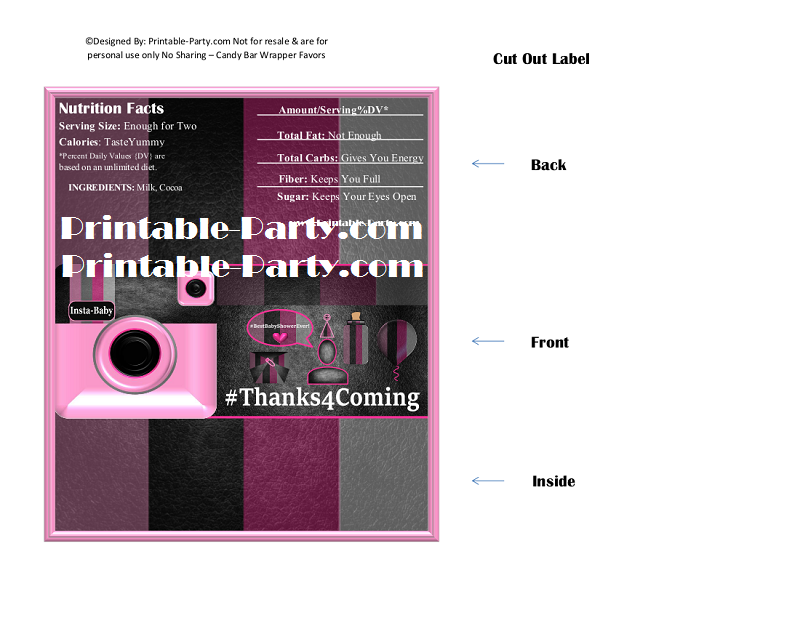 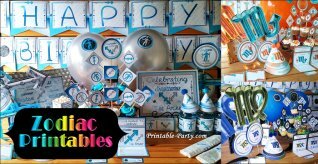 This printable digital party pack includes a lot of the items you may need to create a cool social network party. 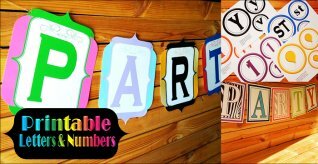 8x8 Inch banner letters A-Z, 0-9, TH,ST,RD,ND, & Decor flags 3 Designs. 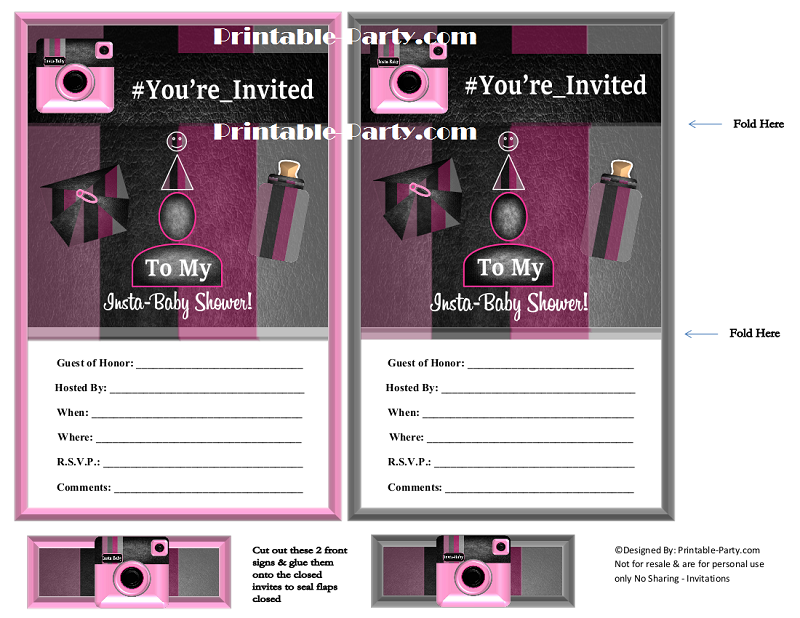 Also includes small Insta-Baby cameras for decoration.